Prakriti Khoj Environment Quiz Competition 2017 - Prakriti Khoj Environment is an ideal Quiz to reach out to young mind through a fun-filled and an interactive learning experience to trigger their sensitivity towards environment protection and conservation, It is conducted by the Ministry of Environment, Forest and Climate Change. To take this idea in the process, the ministry is aiming to launch an initiative to conduct online environmental quiz competition named as Prakriti Khoj Environmental Quiz at the State/National level. This page holds the detail information about the Prakriti Khoj Environment Quiz Competition 2017. The objective of this Quiz Competition is to spread awareness among the students regarding environmental issues. Moreover, the students will be prompt towards their participation in major ministry programmes. And to impart knowledge to school children about their immediate environment, interactions within it and their problems therein. Also to motivate children towards environment conservation-oriented lifestyles. Framework - Convention on Climate Change, Stockholm, Rotterdam etc. The students belonging to the age group of 8 to 18 are eligible to apply for Prakriti Khoj Environment Quiz 2017. The volunteers of Eco clubs under National Green Corps programme owned by Ministry are also eligible to apply for the Quiz Competition. The participants of Prakriti Khoj Environment Quiz 2017 will be honoured by the awards and prizes. The winners will be determined by the computer/ software. Therefore, the winners will be decided by Secretary will be final. Total of 54 Prizes, 18 to each category winners would be awarded. The prize will be distributed as per the rank of the students based on age group. There are total 18 prizes to be distributed from each age group. Apart from prizes, all the participants will receive certification of appreciation. 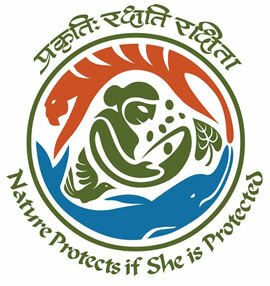 The nomination for the participation in Prakriti Khoj Environment Quiz will be sent through the respective Eco club coordinator in schools to the concerned State Nodal Agency. Each student will receive the username and password on the mobile and email of School Coordinator/ Principal. After that, the students will have to open the portal and start the quiz as per the instructions are given on portal, the candidates can apply online on the link below. The quiz will be conducted online through multiple choice questions on the themes mentioned above. Participants have been divided into three age groups (i.e. 8-12, 13-15 and 16-18 years). For each group, there are five rounds. First two rounds comprise of 10 questions @ 30 seconds per question. For the last three rounds, it comprises of 5 questions @ 30 sec per question. The selection of the candidates will be done in two stages that are State level and National level. The candidates who will qualify the state level will be appearing at the national level.